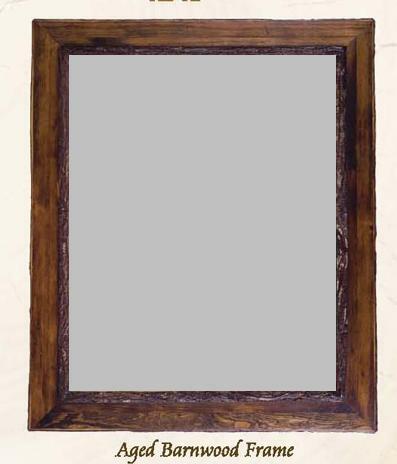 Hickory bark frames the inside and the outside edge of aged barnwood in this beautifully complex Old Hickory Aged Barnwood Frame/Mirror. Price shown is for 23x27 mirror. See drop down window for other sizes and prices. 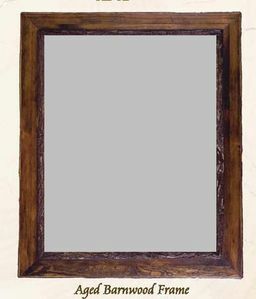 Please call for pricing on frame only. Made in the USA!